I love peanut butter and jelly. Whenever my son asks for a peanut butter and jelly sandwich, I secretly hope that he won’t finish it all, so I can scavenge the rest. Somehow in my mind, sneaking Aaron’s leftover sandwich is less shameful than actually making myself a lunch that is usually consumed by preschoolers and not respectable grownups. Please don’t judge me. When I came across this recipe for peanut butter and jelly bars in Ina Garten’s cookbook, Barefoot Contessa at Home, I was ecstatic. A grownup version of peanut butter and jelly! 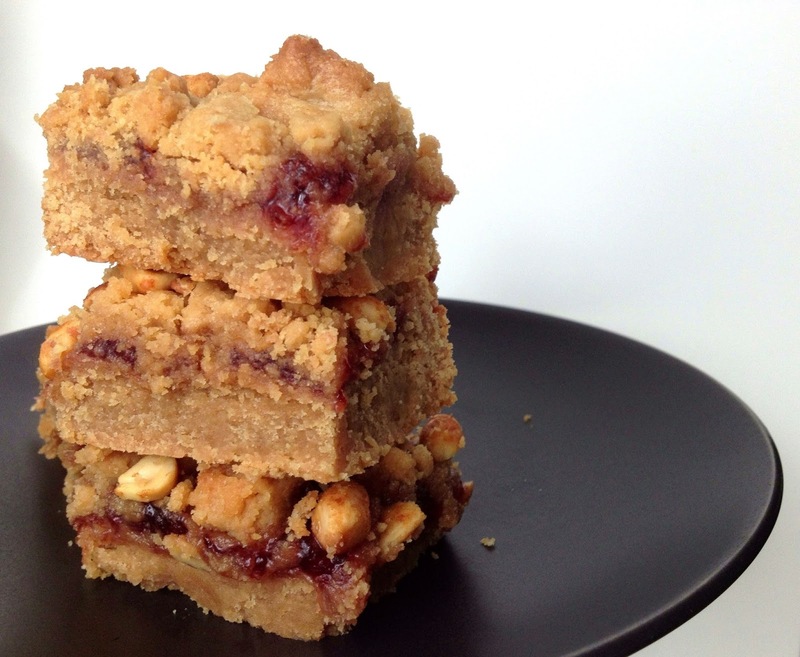 These bars are rich, packed with peanut butter, jelly and topped with chopped peanuts. I used strawberry jam, but any jam could work. If I made this again, I might actually use more jam, as the jam layer was slightly overpowered by the peanut butter. Also, I was lazy and skipped the step of lining the pan with parchment paper. The bars came out just fine. One batch made enough for a party plus leftovers (which our family very much enjoyed). 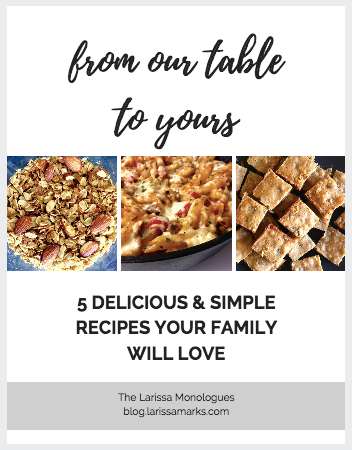 Warning: make sure you have some friends to share this with! They are dangerously addicting. I dedicate these peanut butter and jelly bars to all you parents out there (especially those who gladly eat your kids’ peanut butter and jelly sandwich leftovers).